The rise in sales and prices of existing homes slowed in August according to data from the National Association of Realtors. Sales dipped following a three-month run of gains but the month proved more popular with first-time buyers as their share of sales increased to 32 per cent from 28 per cent in July. Total existing home sales were down 4.8 per cent to a seasonally-adjusted annual rate of 5.31 million compared to a downwardly-revised 5.58 million in July. Year-over-year though sales are up 6.2 per cent. NAR chief economist Lawrence Yar commented: "Sales activity was down in many parts of the country last month — especially in the South and West — as the persistent summer theme of tight inventory levels likely deterred some buyers," he said. "The good news for the housing market is that price appreciation the last two months has started to moderate from the unhealthier rate of growth seen earlier this year." The median existing–home price for all housing types in August was $228,700, which is 4.7 per cent above August 2014. The chief executive of mortgage lender Chase Mortgage says that it is not in the sub-prime market and won’t be cutting its rates for the loans. Kevin Watters told CNBC that “FHA requirements are down to a 520 FICO and you only have to put 3.5 percent down; that's subprime lending, and we're not in the subprime lending business.” Chase does offer FHA loans but with higher FICO requirements and higher prices to reflect the risk. 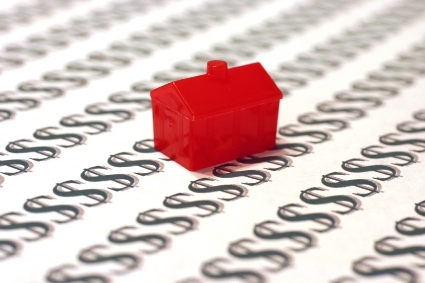 The views of the Chase boss are not unusual among the big lenders and the report says that home buyers are going to smaller independent lenders for the FHA loans. The National Association of Home Builders has been asking consumers what they think a ‘green’ home is. Its survey asked homebuyers what their criteria is for a home to be considered green and what their key influences are when making a home purchase decision. It found that 90 per cent want a safe community, 88 per want energy efficiency and 85 per cent say low maintenance and operating costs. To be considered ‘green’ a home must be ‘efficient’ said 32 per cent of the respondents, ‘eco-friendly’ said 15 per cent and have solar said 8 per cent. Just 4 per cent considered green to mean lower costs.